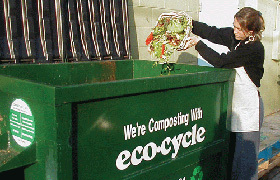 For more than 20 years, Eco-Cycle has partnered with event organizers and vendors to practice Zero Waste throughout Boulder County and beyond. 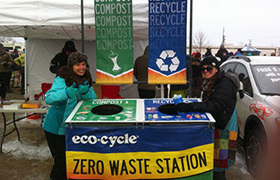 The goal of a Zero Waste Event is to minimize the overall waste that we generate and send to the landfill. We accomplish this goal by requiring participating food and beverage vendors to use the 100% compostable products featured on this site. In addition to providing this error-proof process for ordering Zero Waste Event supplies, Eco-Products is also offering special pricing. So, please place your order early to ensure you’re ready for your event!